Pompeo a year earlier had placed Pakistan on a special watch list — a step short of the designation — in what had been seen as a U.S. tactic to press Islamabad into reforms. 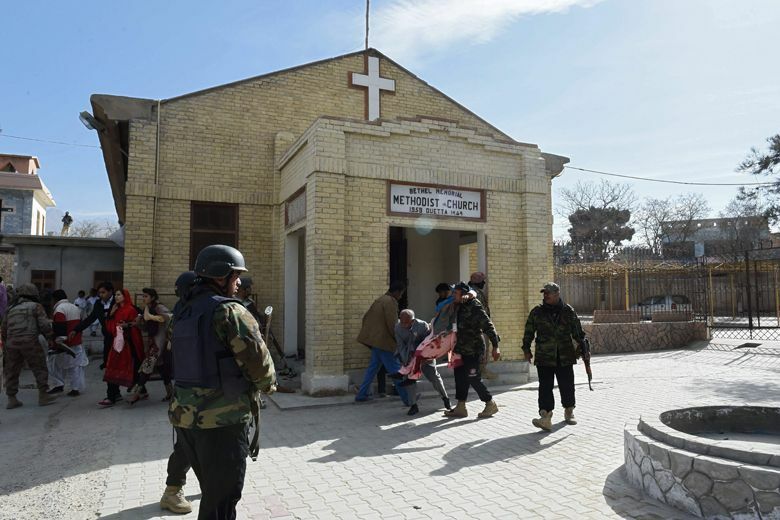 Human rights advocates have long voiced worry about the treatment of minorities in Pakistan, including Shiites, Ahmadis, and Christians. But the timing of the full designation may be jarring as it comes after Pakistan moved to resolve its most high-profile case, with the Supreme Court in October releasing Asia Bibi — a Christian woman on death row for eight years for blasphemy. The government recently charged a hardline cleric, Khadim Hussain Rizvi, with terrorism and sedition after he led violent protests against Bibi’s acquittal. “The United States will not stand by as spectators in the face of such oppression,” he said. Nine countries remained for another year on the list of Countries of Particular Concern — China, Eritrea, Iran, Myanmar, North Korea, Saudi Arabia, Sudan, Tajikistan, and Turkmenistan. The United States removed one country from the list — Uzbekistan — but kept it on the watch list. Russia has increasingly drawn concern in the United States over its treatment of Jehovah’s Witnesses, the heterodox Christian group known for proselytization.